Stop and Celebrate! 500 Followers on Youtube!!! So I want to first of all say thank you all so much for all your love and support! This has been some sort of crazy adventure and it sure is an awesome one, but what is this blog post about really? The point of this post is to freaking stop and celebrate! So often do we accomplish things that we have set out to accomplish only to just let them pass by with a blink of an eye. We forget to show gratitude, we forget to stop and realize how far we have come, and we forget to freaking celebrate. If we just continue on down the road acting like these milestones are no big thing then they become no big thing. We get it in our head that we haven’t accomplished anything, we begin to feel down on ourselves, and our motivation goes out the window. So, yes this blog post is to say thank you. 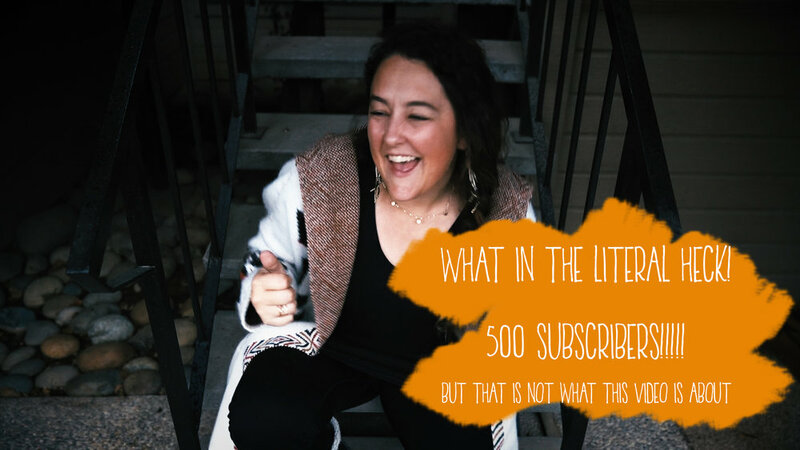 Yes this blog post is to celebrate, and yes this blog post is to stop and realize how far I have come since I started my business, but ultimately this blog post is to tell YOU to stop and celebrate. Celebrate all the things big or small. Stop and have a beer, go out to dinner, take the night off, do something that makes you happy. Something that tells yourself congratulations.